E. Marc Weideman, D.M.D., M.D. Welcome to Oral Surgery of the Rockies! 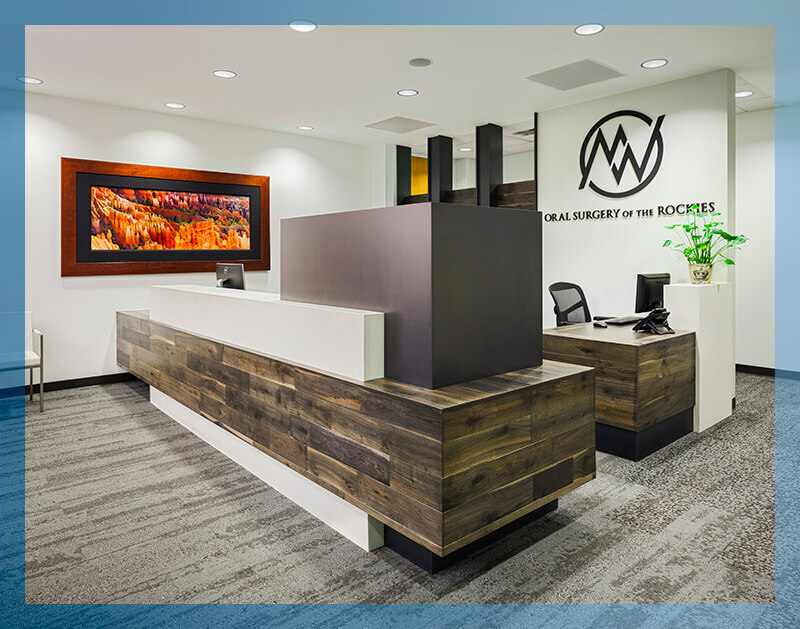 At Oral Surgery of the Rockies, we believe everyone deserves a beautiful, healthy smile – no matter how serious the dental conditions they face may be. That’s why we pride ourselves on providing unmatched oral surgery procedures in a relaxed, patient-friendly environment, and why we offer all of our services with the added comfort of IV sedation. Drs. Miner, Weideman, and our highly trained team of dental professionals have been serving the South Denver communities of Highlands Ranch, Littleton, Centennial, Castle Pines, Castle Rock and Cherry Creek for years. We will work hard to design a treatment plan that’ll help you achieve the beautiful smile you deserve. Ready to take the next step to improving your smile and oral health? We're here to make it happen. Feel free to call us at (303) 791-3232, reach out to us at our contact page, or fill out the easy form below to schedule an appointment at our Highlands Ranch, CO office. We can't wait to hear from you, and we look forward to helping you achieve a smile that's as healthy and beautiful as the Rockies! Copyright © 2017 Oral Surgery of The Rockies. All Rights Reserved. Medical Website Design & Marketing by Omni Medical Marketing.